The identity management sector within IT is in a renaissance. After being a sleepy market for a while in the mid 2000s, over the last few years there has been a great deal of activity and innovation. The innovation has correlated with the dramatic changes in the IT industry. 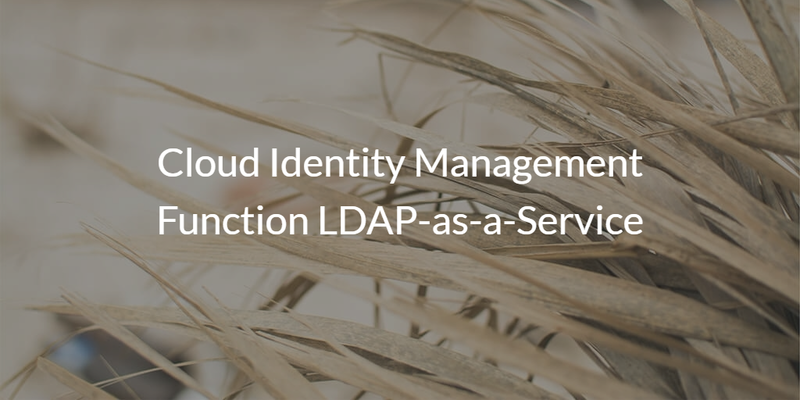 One specific innovation that we’d like to discuss is the cloud identity management function LDAP-as-a-Service. In order to completely understand the benefits of a cloud LDAP we need to step back and look at history. Our advisor Tim Howes and his colleagues kicked off the modern era of directory services with the creation of the LDAP protocol when he was at the University of Michigan. LDAP was a lighter weight approach to the traditional directory services that existed at the time. It was a revolution in the space and spawned a number of open source implementations of LDAP and ultimately Microsoft’s Active Directory® solution. Once AD hit the scene, the game was over and identity management was effectively in Microsoft’s hands for the next decade. It was a monopoly then and some would argue that it is still a monopoly in today’s environment. But, in the late 2000s and beyond, the IT landscape started to change in earnest. More organizations were adopting the cloud – AWS, Google Apps, Salesforce, and other cloud implementations – and Windows was no longer the dominant platform. Mac and Linux machines were now popular alternatives to Windows, with only 1 in 5 devices now being Windows devices (Forbes). WiFi was changing the face of the on-prem network. No longer did you need employees and resources on-prem. Users could work from anywhere, and WiFi created agility for the team. All of these changes had major downstream consequences with IT management tools. Active Directory, which is tightly tied to Microsoft solutions and the on-prem network, started to struggle. LDAP implementations needed to bridge cloud and on-prem IT resources, making networking and security cumbersome. The result was that legacy implementations of directory services no longer made sense. 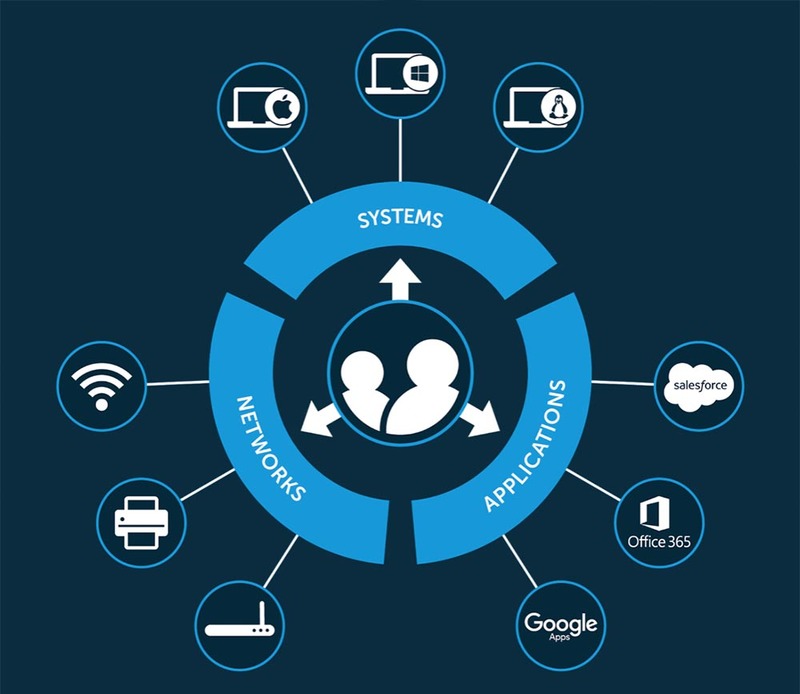 A new generation of cloud identity management solution emerged to solve these major issues. The idea behind them was to cut across platforms, providers, protocols, and locations to deliver one central user management solution for all of an organization’s IT resources. The benefit was significant for IT with easier management, and for end users as well with the True Single Sign-On™ experience. A key part of the process was to deliver a SaaS-based LDAP solution. LDAP is a critical protocol in the identity and access management space. Many applications rely on LDAP for their authentication approach. The solution was to have a cloud LDAP implementation as a core function of the overarching cloud identity management solution. This approach is exemplified by Directory-as-a-Service®. IT organizations would simply point their LDAP-based applications to the virtual LDAP infrastructure in the cloud. IT no longer had to worry about servers, security, high availability, maintenance, and other operational activities. Those were all handled by the IDaaS provider. Because the LDAP-as-a-Service function was tightly integrated into the entire cloud identity management platform, the end users single set of credentials can be leveraged across LDAP, RADIUS, device auth (Windows, Mac, Linux), SAML, and much more. One unified directory service for the entire enterprise. If you would like to learn more about how the cloud identity management function LDAP-as-a-Service could be helpful to you, drop us a note. Alternatively, give our IDaaS platform a try for yourself. Your first 10 users are free forever.